The LOS CABOS Gold and Shell Pearl Necklace is a one-of-a-kind necklace suspended from a 14k gold-filled chain. This necklace can be worn as a standalone piece of jewelry or layer it with our other handcrafted gold necklaces. 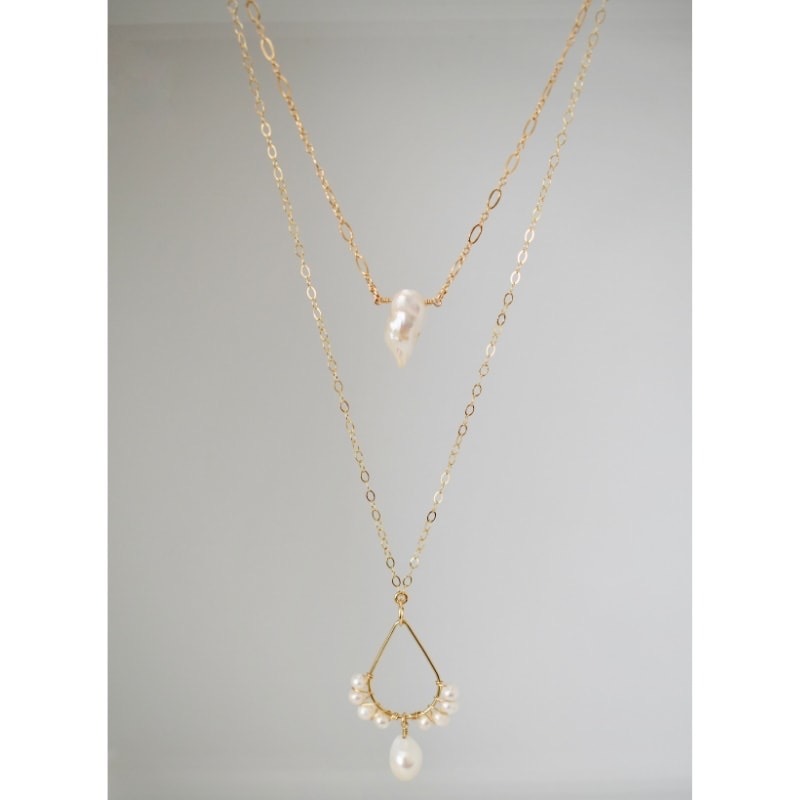 The LOS CABOS Pearl and Gold Necklace is shown here with the 25″L FIJI Necklace.